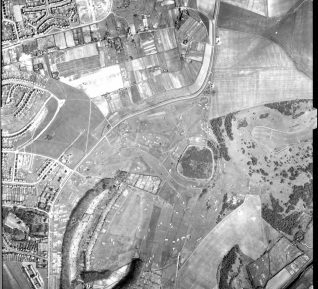 Much of the downland estate that makes up Hollingbury Park was purchased by Alderman Sir Herbert Carden in March 1901 for £25,000. Had the Council attempted to purchase the land the price would have increased considerably, he transferred it to the Council at cost. He realised the need to encircle the town with a green belt to protect it from development; the Council showed considerable foresight in the purchase of the park for the benefit of the town to provide ‘open space for the people’. 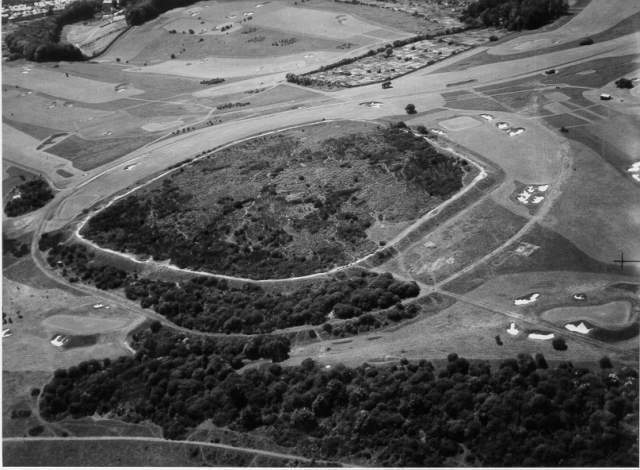 At the summit of the hill is the Iron Age Hillfort (the Camp), some 584 feet above sea level affords the finest views across the city and surrounds. Edwardian seaside resorts had to compete with attractions for holidaymakers. 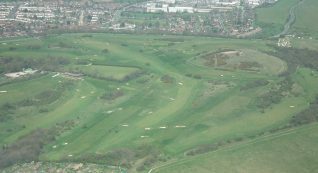 From the early part of the 20th century significant voices on the Council were convinced that a municipal golf course would be a valuable asset to the town. Such pursuits were becoming an indispensable part of a middle-class seaside holiday. Holidays provided an ideal opportunity to polish those skills not to mention the associated social goals for residents. Hollingbury Park was chosen in preference to a site on land owned by the Corporation Waterworks at Mile Oak, the park was chosen due to the suitability of the site as advised and the access provided by public transport on the local tram. Surprisingly there was less opposition on the question of cost, there were reasonable grounds for the course being self-supporting; as it would prove. The Council was assured that much of the cost of building the course would be made through the local Distress Committee with a Parliamentary grant for ’the benefit of the unemployed’ and much was made of the fact that the scheme would provide much-needed work for 40 unemployed workmen in the town for three months. The Council approved a scheme designed by Councillor Benjamin Saunders to build a 9 hole course in January 1908. There was a further threat to rescind this decision, however the Council was not due to meet for a further 3 weeks and unemployed workmen were put to work within a week under the direction of Councillor B J Saunders. It was not long before there was renewed controversy when it became clear that a tee and green were being built inside the Hillfort in contravention of a covenant placed on the land!